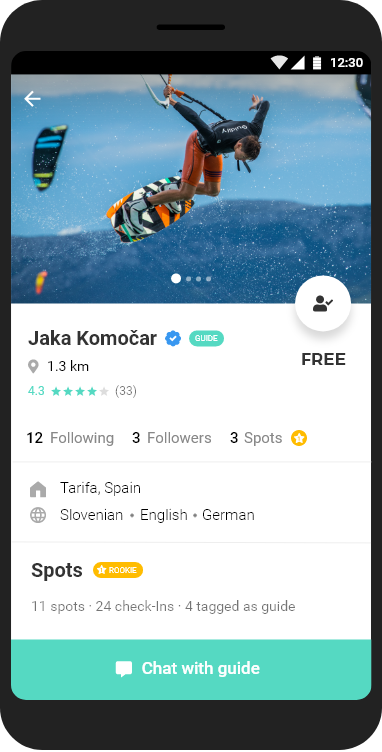 Connecting local guides, riders and experts. 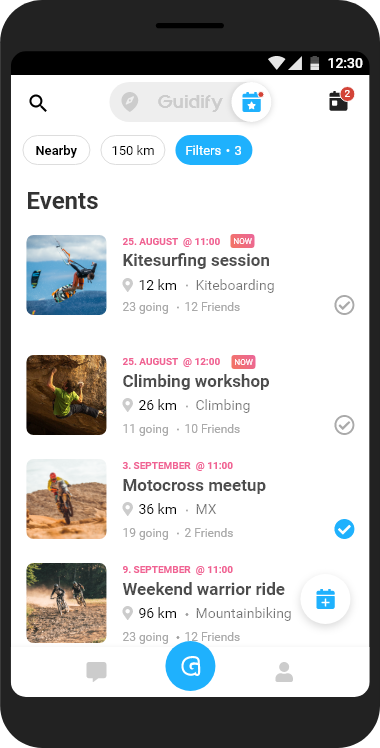 Discover riders near you or filter local guides by location and activities like mountainbiking, surfing, skiing, climbing etc. Every local is an expert guide on his home spot. Share your knowledge and skills for a beer or earn some extra money by guiding, coaching or renting equipment. Instantly connect and chat with locals to work out the details. 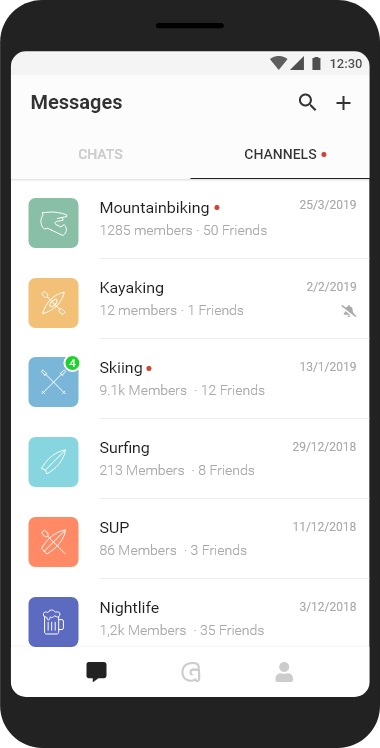 Create group chats to keep in touch with your friends. Name your groups, share photos, status updates and location and use s(t)ickers to better express yourself! Share text and photos that disappear in 24 hours. Let your friends know about your riding plans or share photos from your trip. 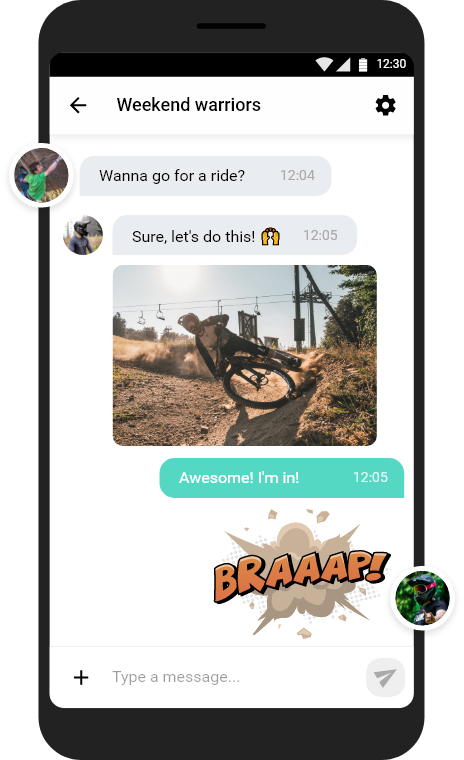 Add text and emojis, change backgrounds and fonts and choose who sees your updates. Get visible on the map during your activity. Use beacon button and start sharing your location with your friends so they can follow your activity in real time. Choose who can see your location or get invisible like a ghost. A new way for users to share their experiences and discuss topics related to activities. With channels, users can now take advantage of the whole community that shares the same interest. 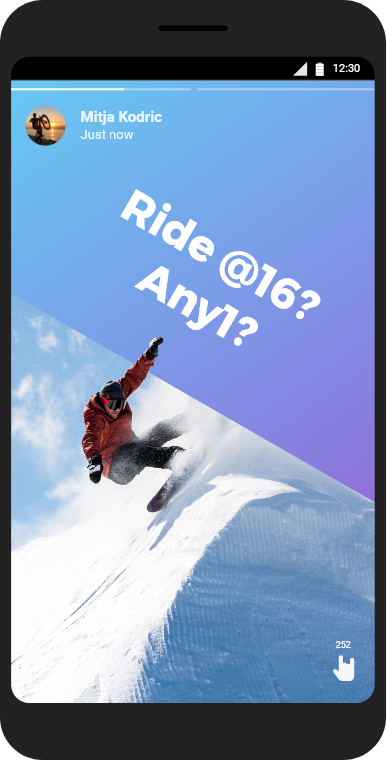 It’s a great place to share experiences, announcements, plan rides, events and discuss things related to a certain activity. A new fun way to discover and share the best places, secret spots and related activities. 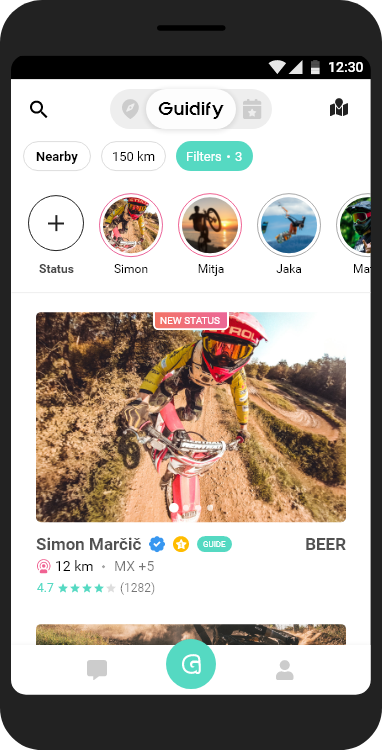 Users can now create, browse or edit nearby spots and filter them by location, distance and activities and receive rewards for their contributions! discover awesome places with locals. 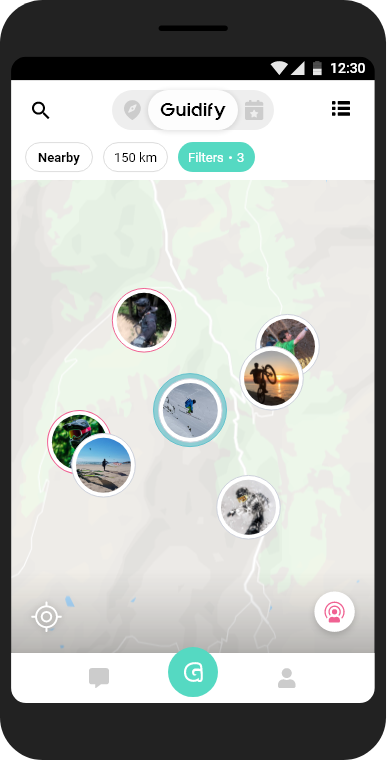 Use filters to discover locals by places, activities or nearby. Chek out guides references, ratings and other information. Chat on the go. Contact your guide, meet new people and discover secert spots.